The Wolagri range from Daken ASV includes bale wrappers for all types of bales including large and small squares as well as large and small rounds. Currently on offer are 3 point linkage and trailing models for medium to small horse power tractors. The electronic control enables the control at the user’s fingertips. 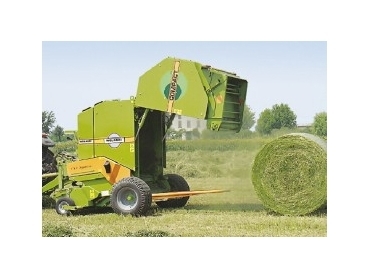 Wolagri also has a complete range of round balers. Featuring an automatic model which is ideal for use on big farms to classical models that are more suited to medium/smaller farms. There are also mini round balers which can be used on smaller hobby farms or those looking for an alternative to square bales.